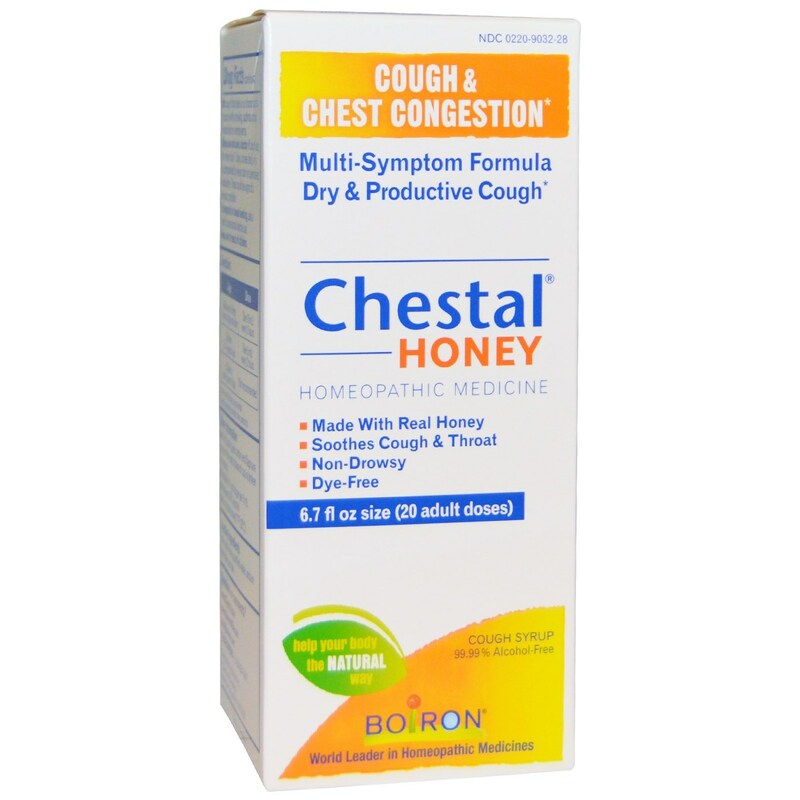 Boiron Chestal Honey is a homeopathic formula with real honey. Warnings: Ask a doctor before use if you have a cough that occurs with too much phlegm (mucus), a cough that lasts or is chronic such as occurs with smoking, asthma, chronic bronchitis or emphysema. Stop use and ask a doctor if cough lasts for more than 7 days, comes back, or is accompanied by fever, rash or a persistent headache. These could be signs of a serious condition. If pregnant or breast-feeding, ask a health professional before use. Keep out of reach of children. Do not use if glued carton end flaps are open or if the seal at base of cap is broken or missing. Active Ingredients: Antimonium tartaricum 6C HPUS, Bryonia 3C HPUS, Coccus cacti 3C HPUS, Drosera 3C HPUS, Ipecacuanha 3C HPUS, Pulsatilla 6C HPUS, Rumex crispus 6C HPUS, Spongia tosta 3C HPUS, Sticta pulmonaria 3C HPUS. Inactive Ingredients: Citric acid, honey, purified water, sodium benzoate, sucrose. 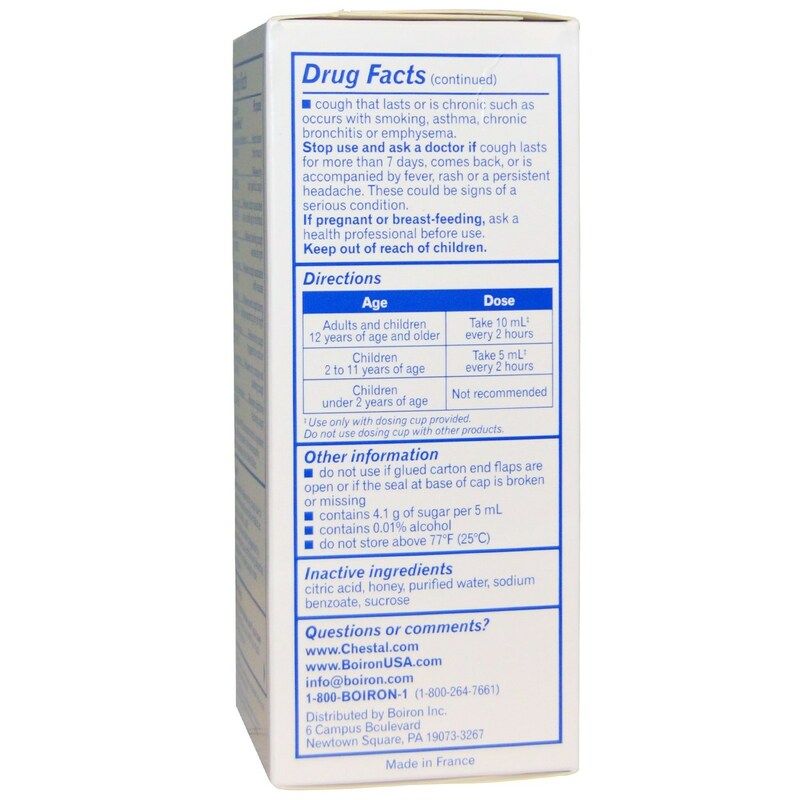 Recommended Use: For adults and children 12 years of age and older, take 10 mL every 2 hours. 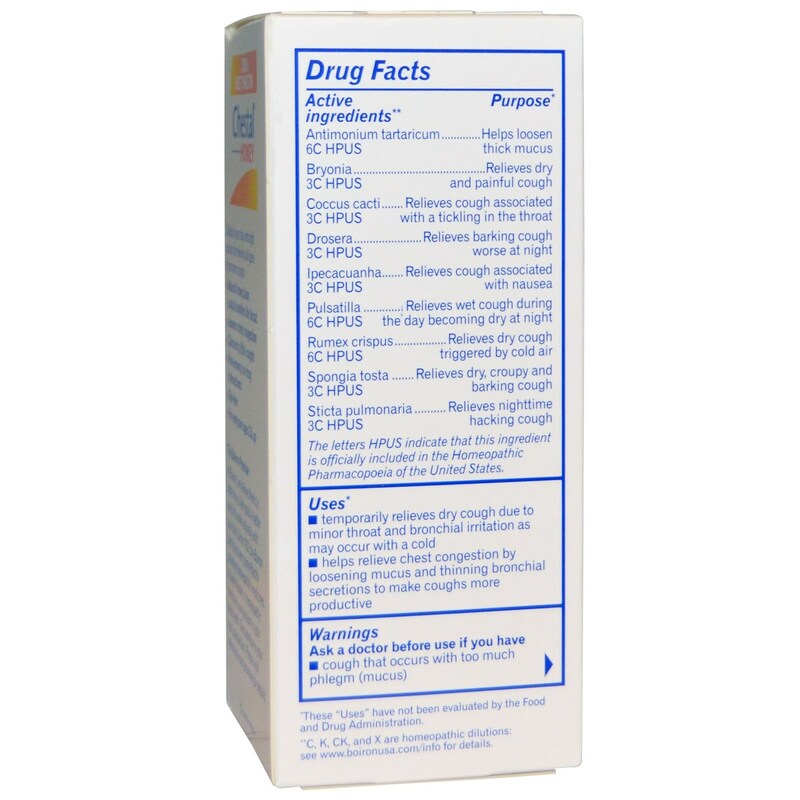 For children 2 to 11 years of age, take 5 mL every 2 hours. Not recommended for children under 2 years of age.